Field tiles are an important foundation to any installation. They serve to enhance and complement the decorative theme set by the feature tiles. The use of intricate patterns for back splashes and fireplace hearths adds a rich and textured palette to any gathering place. A variety of moldings can be used to frame an focal area or an opening, such as a fireplace. Corbels are also available to accent mantelpieces or shelving. 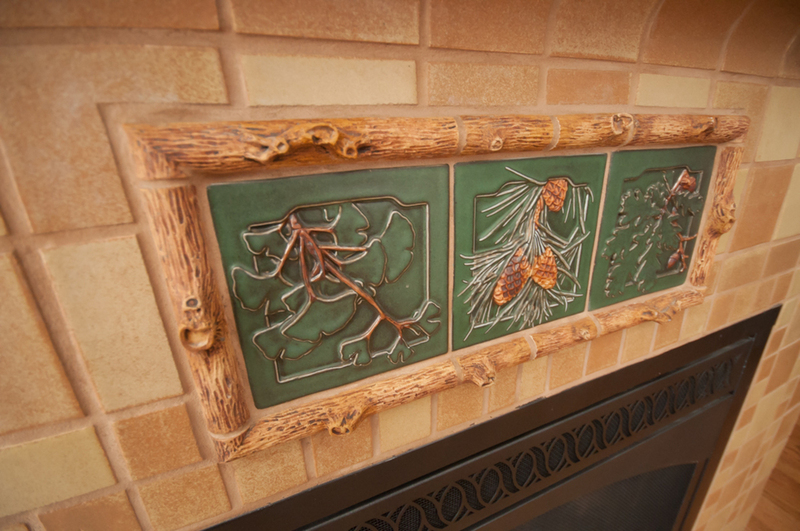 The beauty of hand pressed and hand glazed field tiles are the visible touch of the artisan on each installation. Surfaces and sizes will vary slightly. 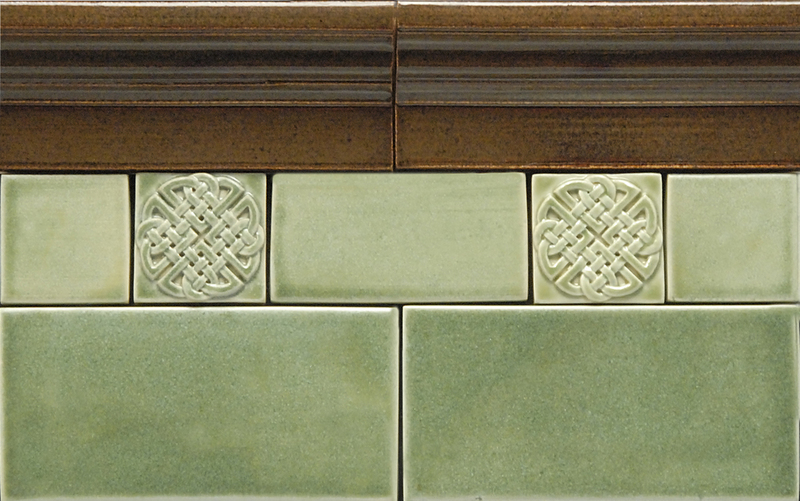 Color variation in the glaze as it breaks across the surface of a tile and the variation in shade between tiles add character and charm absent in machine made tiles. Field tiles can be ordered in most standard sizes, listed below. 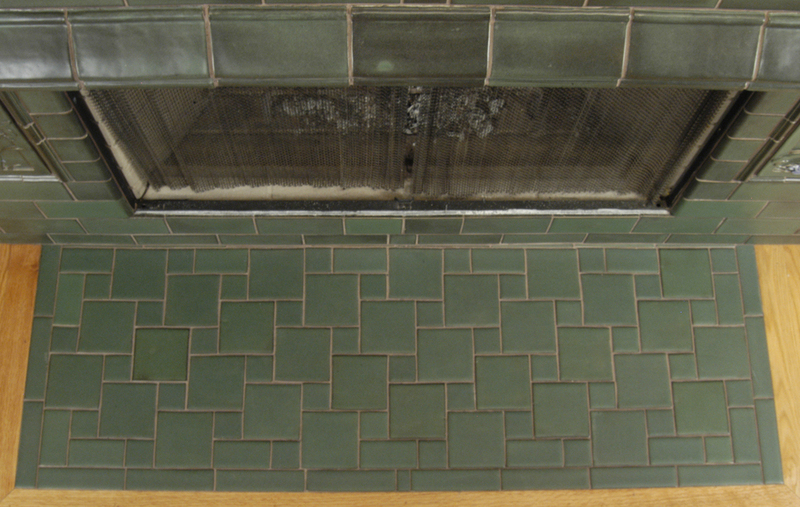 Sizes allow for a grout joint of approximately 1/8". We will discuss installation practices and tolerances and with you during the process of designing the best application for your project. 1" x 1" 2" x 2" 3" x 3" 4" x 4" 6" x 6" 8" x 8"
1" x 2" 2" x 3" 3" x 4" 4" x 6" 6" x 8"
1" x 6" 2" x 4" 3" x 6" 4" x 8"
1.5" x 1.5" 2" x 6" 3" x 8"